A lifelong resident of Pennsylvania, Dr. Barsky graduated from Central High School of Philadelphia and received the BA degree from State University of New York at Binghamton. 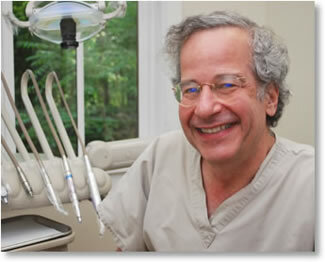 In 1984, he graduated from the University of Pennsylvania School of Dental Medicine. While in dental school he served externships at Pennsylvania Hospital and the University of Vermont. Dr. Barsky is a member of the American Dental Association (including the Pennsylvania Dental Association and the Montgomery-Bucks Dental Society), the Academy of Osseointegration and the Academy of General Dentistry. He attends numerous courses and seminars, keeping abreast of the latest developments in dentistry. Dr. Barsky has practiced in Carversville since 1991 and is a member of the Board of Directors of the Historic Carversville Society, taking great pride in the Village and its activities.